How to track Ajax add to cart buttons in Google Analytics? (Entry was posted by Chhetain Yholmo on this post in the Dumb SEO Questions community on Facebook, Monday, June 10, 2013). Does anyone know how to track ajax add to cart buttons in google analytics ? You can download this video (489MB) to watch later. You can also download the audio only version (172MB) of this HOA. 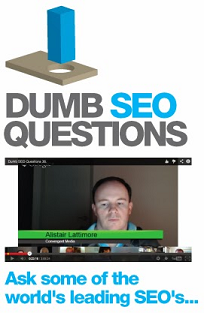 View original question in the Dumb SEO Questions community on G+, Monday, June 10, 2013). Alexa site audit, is it worth it? Duplicate content and landing pages for every city? What should webmasters be doing in the next 12 months? Is Danny Sullivan on the Google payroll? Which to use microformats, Open Graph, and/or schema.org. A re-direct page instead of a direct link? Google Webmaster Forum - Daniweb Thread. Page authority on-page SEO or more links? A good back linking strategy that has worked for them? Good book on effective SEO and PPC advertising?